This big bruiser is the latest quartz powered 1000M tuna can AKA Ref. S23626J1. It case measures 49.4mm in diameter with a thickness of 15.3mm. It is powered by a Seiko Quartz Caliber 7C46. 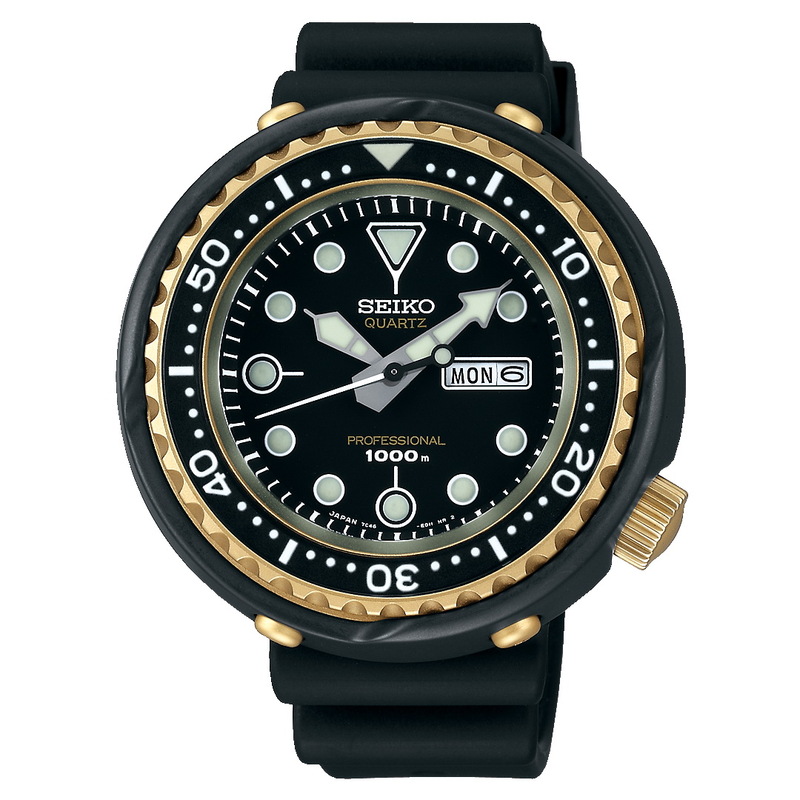 Diving features include: a screw-down crown, diver’s bezel, 1000 meters of water-resistance, magnetic-resistance and a Sapphire crystal. It is also suitable for saturation diving.